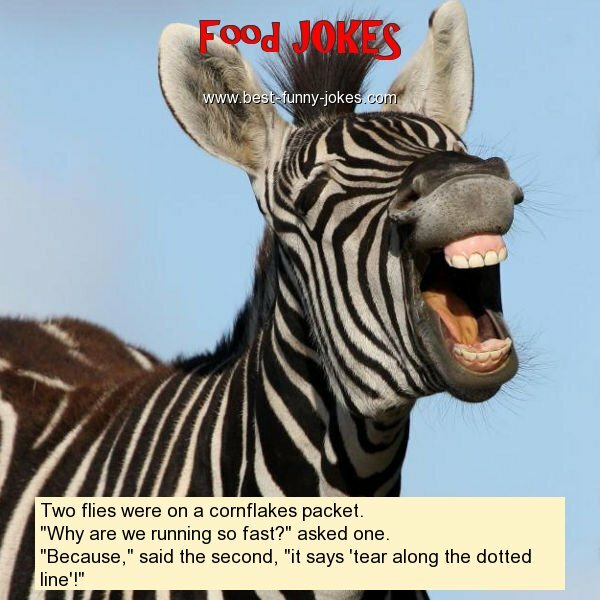 Two flies were on a cornflakes packet. "Why are we running so fast?" asked one. "Because," said the second, "it says 'tear along the dotted line'!"